How can MY chorus tour Ireland? Puting the "BAA" back in "Barbershop". "Well, what can I say? We had the MOST amazing time! It was just wonderful in every way. We went to amazing places, sang everywhere and met the fantastic Irish people. 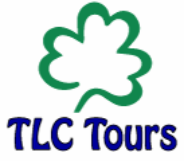 "We had an amazing adventure thanks to you and TLC Tours. Everyone had an incredible time. We couldn’t have asked for anything more. ​The accommodations were high-end; so nice, spacious and comfortable, the Coach and Driver/Guide fabulous and the itinerary PERFECT. We were nicely surprised every day. We never felt rushed but we seemed to do and see everything. I’m asked what I liked best and I just can’t pick a favorite day. Each was as nice but different than the next. Thank you for the perfect adventure.